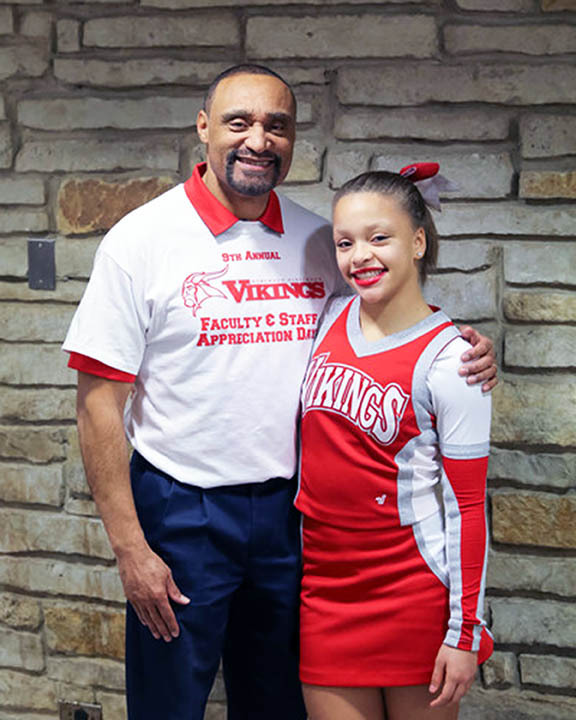 Homewood-Flossmoor High School Superintendent Von Mansfield knows his five years in the National Football League stand out on his résumé, but it’s his 30 years in education that have been the career he’s cherished. ceremonies at Homewood-Flossmoor High School. He grew up with four brothers and a single mom in a housing project in Milwaukee and rode the bus to the Milwaukee University School, a private school far removed from his neighborhood. “It was a very unique experience compared to where I grew up,” he recalls. 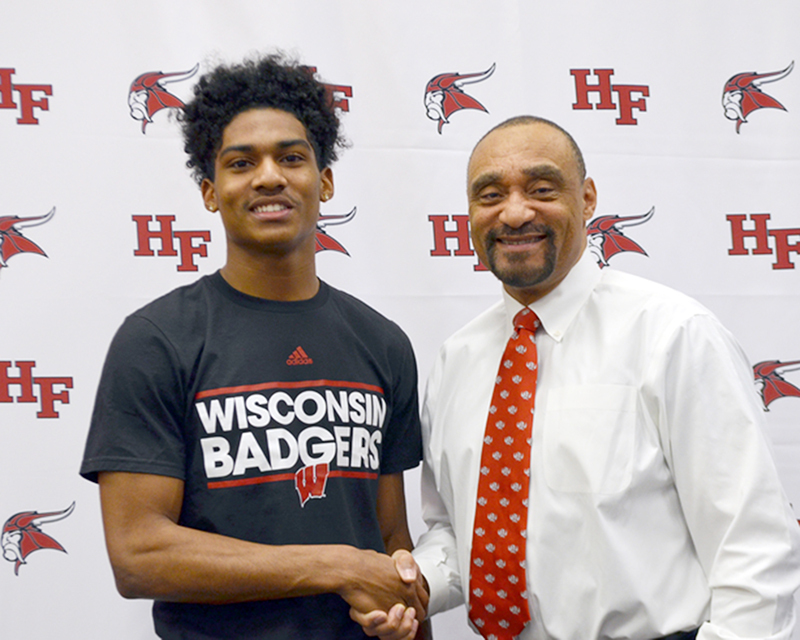 He excelled in sports, was student council president his freshman and senior years, and got an academic scholarship to the University of Wisconsin. He decided to walk on for football try-outs and made the team. After three years at UW, he was drafted in 1982 into the NFL, despite having dislocated his shoulder. He played for the Philadelphia Eagles, the Green Bay Packers and two teams in the U.S. Football League. In the off seasons, Mansfield would go back to UW to take his senior year classes to finish his bachelor’s degree that prepared him to be a science teacher. “I just was trying to stay focused knowing my degree would afford me a lot of opportunities. My mom always said sports is a vehicle. It won’t get you through the whole gamut,” he said. Mansfield was a high school teacher for three years. He thought about coaching and went back to UW working as a graduate assistant coach while taking classes in counseling and psychology for a master’s degree. A requirement to complete a practicum in a high school setting brought him to the guidance office at Rich East High School in Park Forest. Before he left, he was offered a job as dean of students. That was 1989. He did that for three years before moving into the guidance office. In 1994, he moved to Rich Central High as assistant principal and in 1995 was named principal. He was appointed principal at H-F in 2001. He was named District 233 superintendent in 2008. During those years, Mansfield earned a master’s degree from Governors State University in school administration, a doctorate in education from Loyola University-Chicago, and a certification in advanced study from Loyola. The world of education that he started in 30 years ago is very different today. Careers in information technology, electronics, computers weren’t even thought of when he was new to the profession. Mansfield wants to remind students at H-F there really is a realm of possibilities ahead. Few of these students will be in a job for 35-plus years, he said. They can expect several career changes along the way, but with transferable skills and a set of goals, the path will be much smoother. “At the end of the day, our job is to provide opportunities for kids the best that we can, no matter what those kids are interested in,” he said, and points out that H-F offers an educational path for every student whether that’s a technical career after graduation or earning a college diploma. The school’s reputation has also placed it in the national spotlight, and Mansfield is delighted to tell of the H-F ethos to colleagues when he makes presentations to the College Board, an organization representing over 6,000 of the world’s leading colleges, schools and educational organizations. He has been a featured speaker for the group’s national conferences, served as co-chair of the National Forum of the College Board and is now a member of the College Board Oak Circle Advisory Board.